ZotQuery gives you access to your Zotero data on the fly. 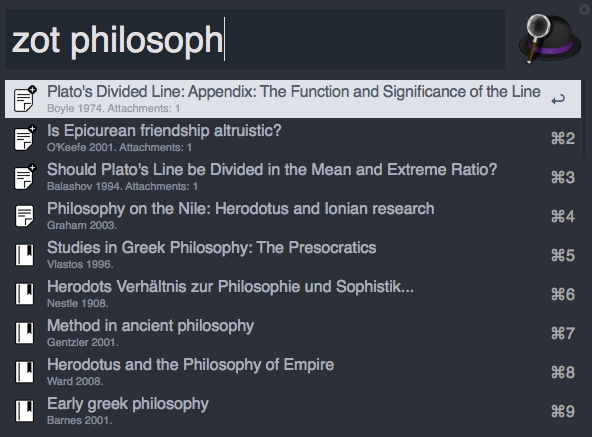 You can search for items in a variety of ways, export items in Markdown or Rich Text format, open attachments, and more. There are honestly too many features to be enumerated here. For a detailed ReadMe, visit ZotQuery's page on my blog.